As announced by Dainik Bhaskar on November 8, 2011, The MOU?s of Monsanto and other Seed Companies with Rajasthan Agricultural Universities have been cancelled. Under pressure of the Prime Minister?s Office (which in turn was under the pressure of the White House because of signing the U.S ? India Agriculture Agreement, on the board of which sits Monsanto) the States were signing MOU?s with seed corporations to privatise our rich and diverse genetic heritage. The Government of Rajasthan signed seven MOU?s with Monsanto, Advanta, DCM-Sriram, Kanchan Jyoti Agro Industries, PHI Seeds Pvt. Ltd, Krishidhan Seeds and J.K. Agri Genetics. While what was being undertaken was a great seed robbery under the supervision of the State, it was being called PPP – Private Public Partnership. The MOU with Monsanto focused on Maize, Cotton, and vegetables (hot pepper, tomato, cabbage, cucumber, cauliflower, water melon). 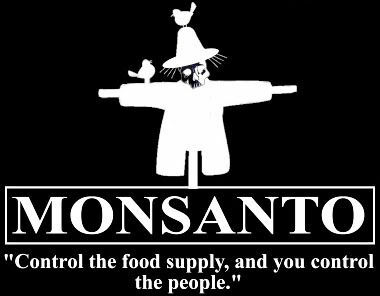 Monsanto bought up Seminis, the world?s largest seed company. Monsanto controls the cotton seed market in India and globally. Monsanto controls 97% of the worldwide Maize market, and 63.5% of the GM cotton market. And Dupont has had to initiate anti-trust investigations in U.S because of Monsanto?s growing seed monopoly. Thus the MOU would have deepened Monsanto?s monopoly over seed supply. The MOU violated farmers rights by handing over the genetic wealth of farmers to corporations without the consent of farmers. ?Monsanto?s proprietary tools, techniques, technology, knowhow and intellectual property rights with respect to the crops shall remain the property of Monsanto although utilized in any of the activities outlined as part of the MOU.? While public resources would have been freely given away to Monsanto as a subsidy, Monsanto?s IPR monopolies would have been protected. This was an MOU for ?Monsanto takes all, the public system gives all?. It was clearly an MOU for privatization of our seed and genetic wealth, our knowledge and a violation of farmers rights. The seed supplies that the agriculture universities were handing over to Monsanto were not the property of the state, nor of Monsanto. They were the common property of farming communities. That is why Navdanya started the campaign for cancellation of the MOU?s. On 9th August, 2011 ?Quit India Day?, the day 13 years ago when we started the Monsanto Quit India campaign, Dr. Vandana Shiva and Navdanya team undertook a seed sovereignty yatra in Rajasthan saving seeds and meeting with local groups and scientists and government representatives to intensify the call for the cancellation of the MOU?s. Today?s announcement of the cancellation is yet another success of Navdanya, the seed sovereignty movement, the seed keepers of Rajasthan and NGO?s and independent scientists who work together to roll back the power of Monsanto and the seed MNC?s.